Our friend Oliver Klink has been traveling the world and photographing its people and nuances. The results are some stunning travel photographs. Oliver’s work has been published with National Geographic, Days of Japan, Black & White magazine, Popular Photography magazine, among others. 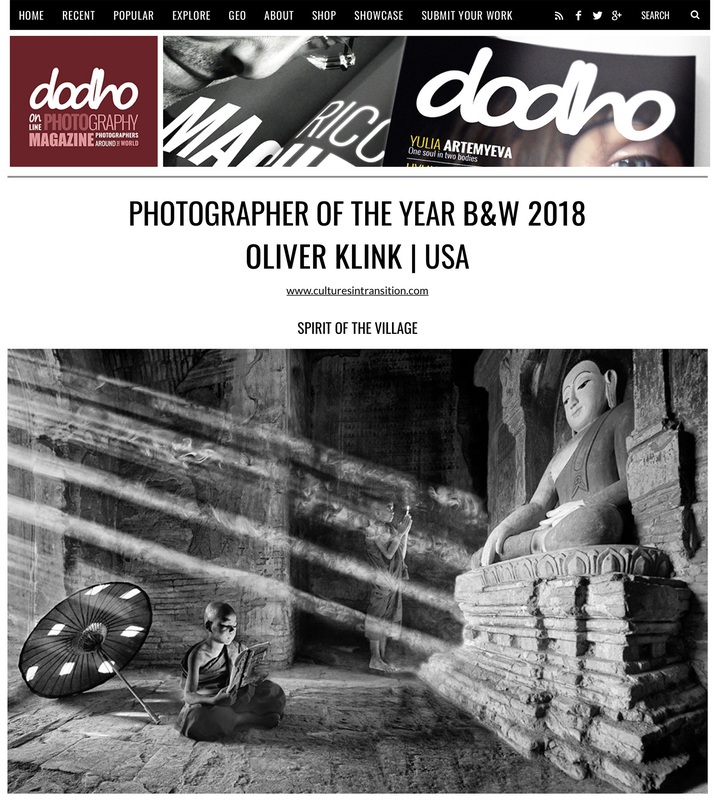 In 2016, he was selected as Critical Mass Top 50 fine art photographer, “Best of the best” emerging fine art photographer by BWGallerist, and received People’s Choice award from Black and White Magazine single image contest. In 2014, his image “Herding Instinct” won the grand prize at the Rayko International Photo contest. In 2013, “The Great Migration” was selected as the Grand Prize winner at the 30th anniversary Spring Show Exhibit at the PhotoCentral Gallery in Hayward, CA. Other awards have included the Mike Ivanitsky award for photographic excellence (2009) and nominations at the prestigious Black & White Spider Award (2010-2016). Check our FeatureShoot’s article and then keep an eye out for Klink in exhibitions this year. Most recently an exhibit concluded on February 23rd at the Pacific Art League in Palo Alto, CA.